While the BMW X6's form-over-function aesthetics have been the source of controversy since the luxury crossover's debut in 2008, its aggressively tapered ducktail has always reminded us of many of the desert racing trucks we've seen tackle various transcontinental dustups. It appears we weren't the only ones. 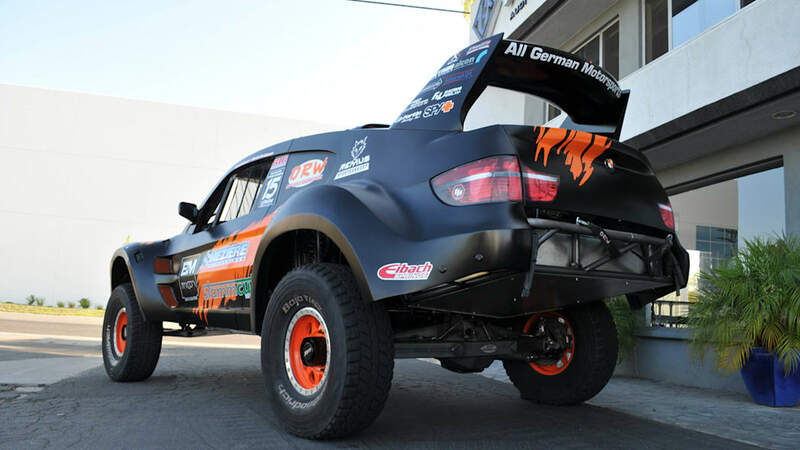 Enter the All German Motorsports-Jimco X6 trophy truck, 4,500 pounds of twin-kidney desert pounder. 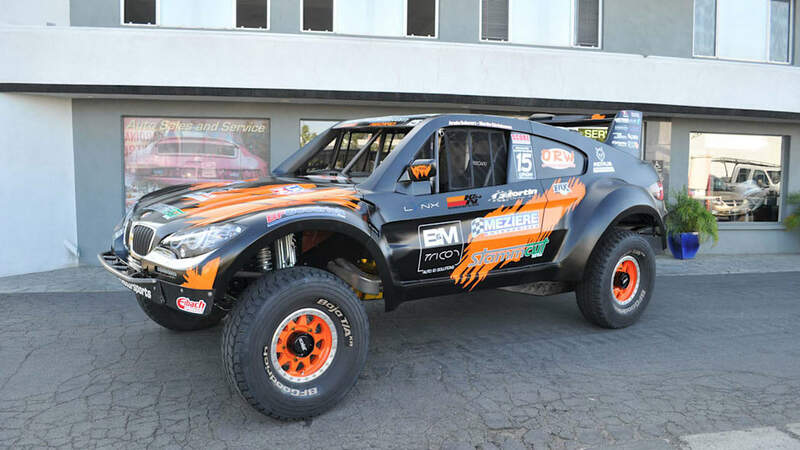 Boasting 25 inches of suspension travel up front and a massive 32 inches in the rear, the V8-engined X6 and its 750 horsepower are headed into the thick of the SCORE trophy truck series this season. Of course, to call this beast a BMW would be to judge a book by its mud-spattered cover – there's almost nothing here that Munich's finest would recognize. 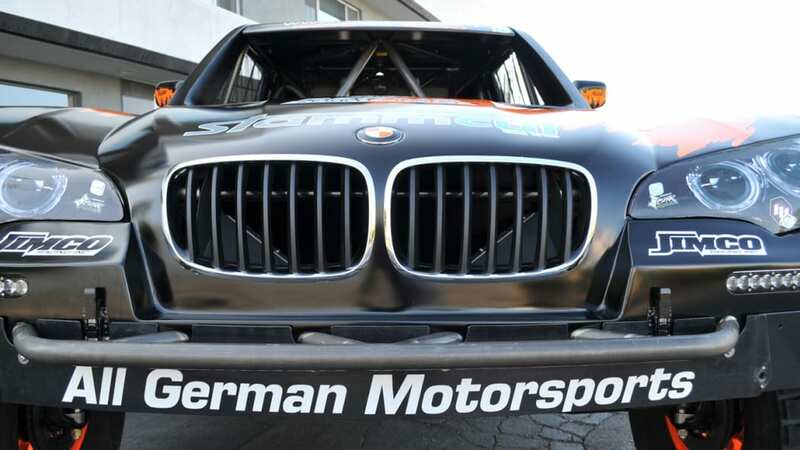 The X6-shaped shell is fiberglass and there's a completely custom chassis and Fox suspension system hanging beneath it. 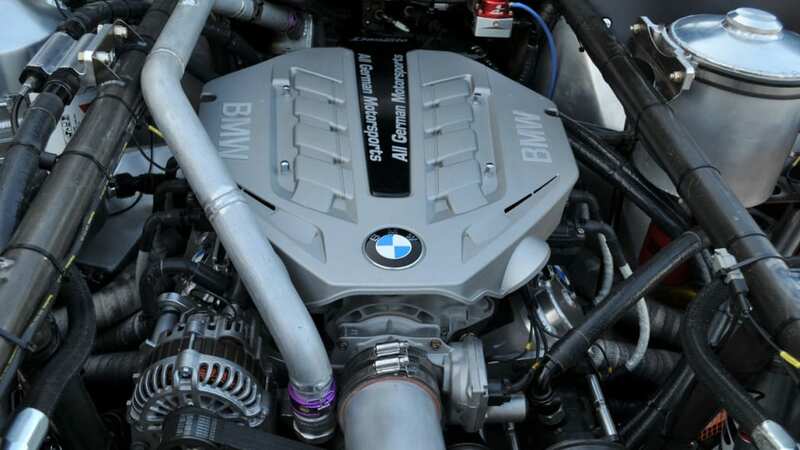 The engine is production-based, with a 4.4-liter block that's similar to the one found in the xDrive50i and X6 M but it's doesn't appear to be from BMW. Rather, the video suggests it's a GM-sourced engine (SCORE mandates a production-based engine block, but apparently it doesn't have to reflect the bodywork that shrouds it). 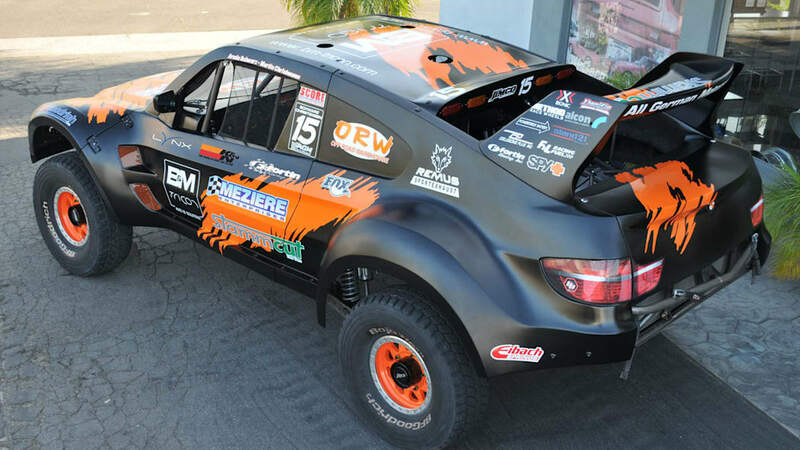 The X6 Trophy Truck will see its inaugural competition outing at next month's Baja 1000 with driver Armin Schwarz behind the wheel. Check out our high-res gallery above, then click past the jump to check out a pair of brief videos.